Although we’re still lagging behind our American cousins, 3D printing in UK schools IS happening and it’s starting to get some real traction. Beginning with the government’s announcement last year to provide £500,000 in funding for the provision of machines to secondary schools, there are clearly people in high places that see the benefit of educating the nations youth in 3D design and future manufacturing – big thumbs up! As the Community Director at MakerClub, I’ve had the opportunity to meet hundreds of teachers from across the UK and while most are excited about the possibilities, they also fear the extra work. A new piece of kit can be a really scary prospect, if you factor in training, new lesson plans and general disruption to the normal routine, that alone is enough to put an overworked and massively undervalued teacher off straight away. 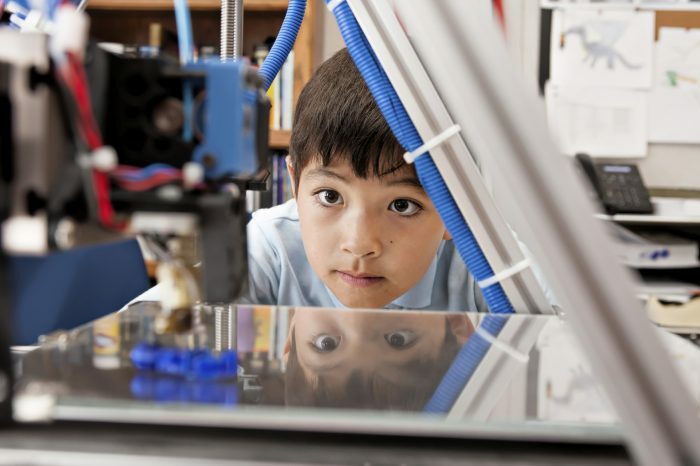 Convincing schools that 3D printing is a good thing for students isn’t really that hard, what we should be doing is trying to create ways of using 3D printers that make a teachers life easier.